Place your order by 4 PM EST Today and we will ship it by Thursday, May 2. Ships by Thursday, May 2? 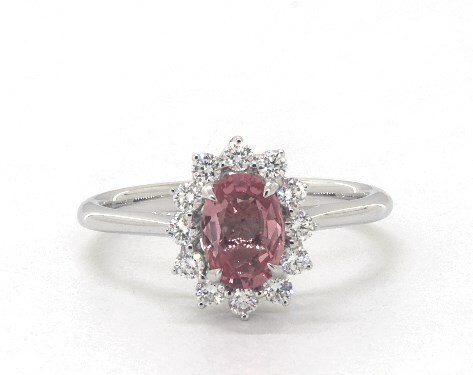 Celebrate a classic look with this stunning ring featuring an oval pink sapphire surrounded by a halo of glistening diamonds. The unique prong setting of the diamond halo lends a vintage feel to this chic piece that will instantly upgrade any look.